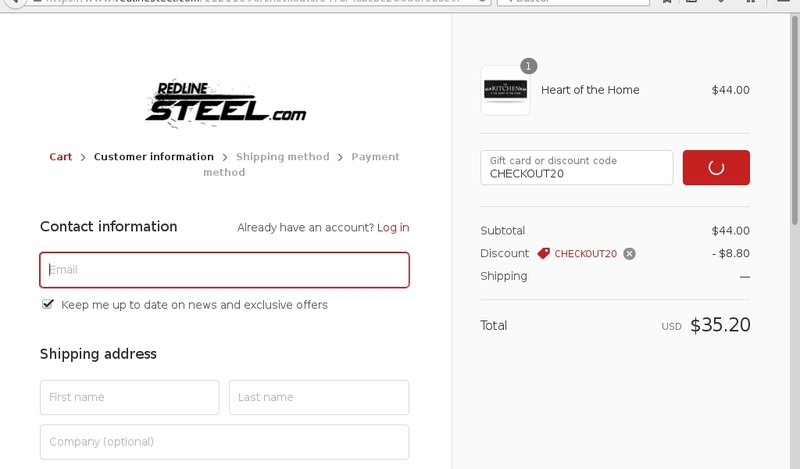 Alexander Iriarte This great deal is working as described, go to the store, add your items to the cart, use the coupon and get 20% Off Any Order at RedLine Steel. jfranyergac Simply enter the code during the checkout process to apply this discount. 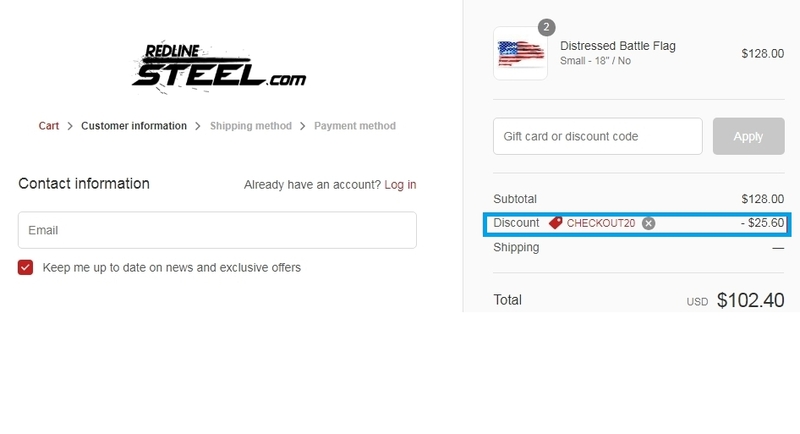 Liz Saloney This great deal is working as described, go to the store, add your items to the cart, use the coupon and get 20% Off Any Order at RedLine Steel. nelio I am re-activating this expired deal. I will update it and validate that it works. Use code CHECKOUT20 to get 20% off any order at RedLine Steel. teran This deal works perfectly. Just enter the page, apply the promotional code at the time of purchase to receive the discount. Claudio Briceño The coupon code is valid. To redeem the offer, shop for any item on the site and use the code during the online checkout process.